How to do a haircut "cascade"
How to style a haircut "cascade"
All girls dream to look beautiful, but beauty should be natural. Your hair should look beautiful both with installation and without it. Hair should be voluminous, lush, easy to pack. Haircut cascade meets all of these requirements. It is suitable for any shape of the face, looks beautiful on thick hair, and more rare, giving them volume, which is so lacking. Not suitable cascade only for very thick and curly hair. Haircut cascade , you can experiment with different types of stacking, and each day you will leave your home with a new hairstyle. First you need to wash your hair and dry with Hairdryer. Now on top, parallel to the forehead to select one strand right in the middle, a width of 2 cm. The rest of the hair kill it with Bobby pins. 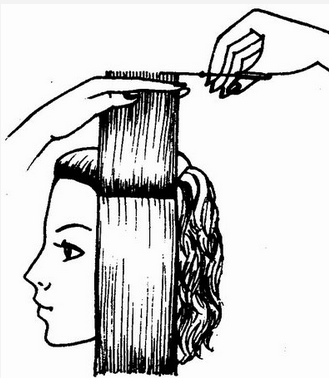 Trim to the required length. All other locks will be equal to this, so you can call it "control lock". Every strand take further direction from the top of his forehead and pochesyvaya her to control, so that the length was the same. The width of the next strands of 2 centimeters. 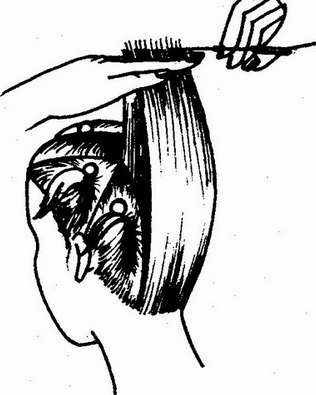 Pull back the strands at an angle of 90 degrees to the head and trim, like on "control lock". 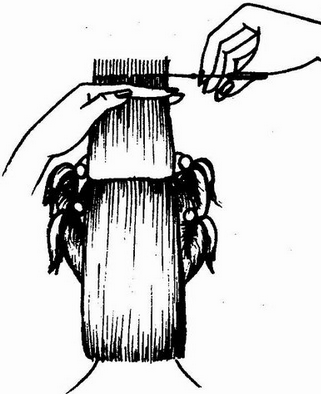 All the hair from the nape pochesyvaya up to "test strands and cut at an angle of 90 degrees to the head. Now start trimming the side area. Separate a strand, the length of the trim on the control strands and cut a sling at an angle of 90 degrees. With other strands you need to do the same. Comb your hair and make thinning. 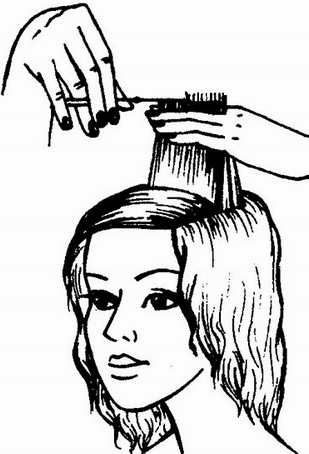 Look closely at the hair during combing, there should be no excess hair, bumbling or carefree characters "Cascade". Now you need to style your hair, giving it volume. You can if you want to make the bangs.